Proven high level of ballistic protection including 58 calibre rounds. High level of blast protection including 120mm mortar. No requirement for mechanical equipment. 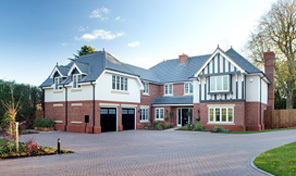 Designed for extremes of environmental conditions. Designed for expeditionary and rapid reaction forces. Deployable via helicopter and DROPS vehicle. Service life in excess of 5 years. Very low power consumption for temperature control. 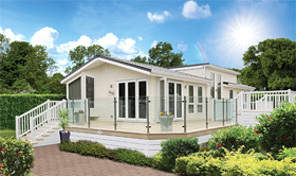 Conﬁgurable to provide ﬂoor area in excess of 200m². Deployable in under 1 hour. SBS work with Hertel who design and manufacture modular and flat pack ballistic and blast protected shelters which are designed to save lives and reduce the threat of injury to a wide range of military and non-miltary personnel. Providing proven ballistic and blast protection which exceeds many of the STANAG 2280 requirements, protection which can be adapted to suit client’s specific conditions. 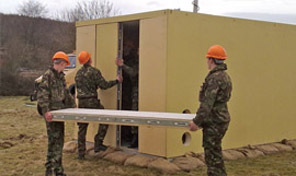 Easily and rapidly assembled with one simple hand tool, ballistic and blast protected shelters provide its users with a safe living and working environment in some of the most hostile and dangerous situations. 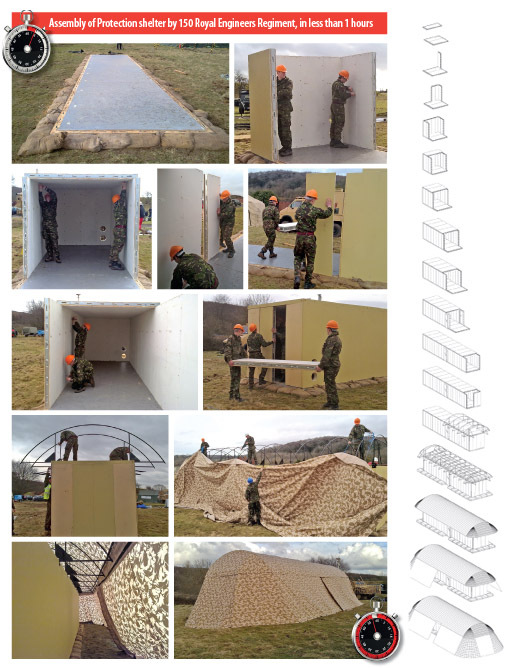 Units can be configured to meet a variety of field requirements including, accommodation, medical facilities, and command and control centres providing instant ballistic protection the moment the first wall panel is secured in place. 1. Proven ballistic protection to a high standard. 2. Proven blast proof protection. 4. Assembled fully in less than 2 hours with one manual tool. 5. No specialist skills or power tools required. 6. Deliverable via road, helicopter or air drop pallet. 7. Symmetrical pallet loading = reduced logistical requirements. 8. No requirement for mechanical handling equipment to erect the shelter. 9. No in-service maintenance required. 10. Lightweight solution which can be deployed by helicopter, or a pick-up truck. 11. Withstand environmental extremes and helicopter downwash. 12. 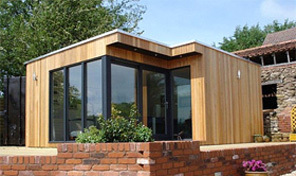 Specialist designed laminated panels with excellent structural properties. 13. Suitable for protecting a wide variety of personnel across both military and non-military/aid uses. 15. Up to Level IV Ballistic protection against 5.56, 7.62mm and 14.5mm (58 cal) B32 Heavy Machine gun round iaw STANAG 4569, N" 1008, UL 752 or Euro 1063. 16. Protection from fragmentation from direct hit/near miss, 120mm mortar & 107mm/122mm Rocket (SQ fuses) iaw STANAG 2280. 17. Low thermal properties, requires very low power for heating, cooling and lighting. Fortis protected shelters were subjected to a number of ballistic tests including the firing of various calibre rounds and RPG. 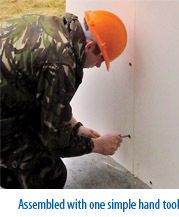 Fortis protected shelters panels were shot at in various places including the most vulnerable areas such as joints and locking mechanisms and in clusters to simulate a burst of fire. A total of 7 x 7.62mm rounds were fired at the Fortis protected shelters panels and all rounds were laser guided and were defeated. 1. 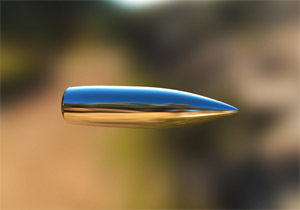 7.62mm NATO ball fi red direct into full size Fortis protected shelters ballistic panels. 2. 58 calibre Russian made B32 tungsten tipped round fi red direct into full size Trigger Shield pre-detonation screen positioned 18” in front of Fortis protected shelters ballistic panels. 3. RPG 7 fired direct into full size Trigger Shield pre-detonation screen positioned 18” in front of Fortis protected shelters ballistic panels. All rounds were defeated proving Fortis protected shelters to be effective defence against bullet fire and RPG attacks. 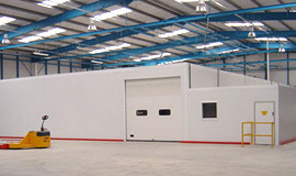 Fortis protected shelters the protective system can also provide effective protection against explosions and blasts. 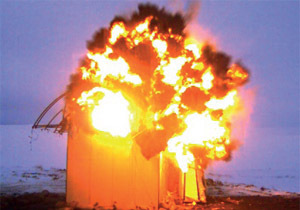 During testing only one Fortis protected shelter was used and no repairs or adjustments were made between detonations. 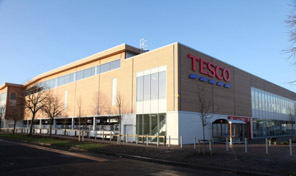 Fortis protected shelter remained structurally sound and only received superficial damage. • 3.2kg TNT equivalent shaped charge 1m above ground burst, 0.25m stando! from trigger screen. • 3.2kg TNT equivalent shaped charge in contact with roof Trigger Screen. • 6.5kg TNT equivalent fragmenting surrogate mortar, 4m stando! from Trigger Shield. • 3.2kg TNT equivalent shaped charge in direct contact with corner of roof. • 3.2kg TNT equivalent spherical charge in direct contact with side wall of shelter at ground level . Fortis Protected Shelter is assembled with one simple hand tool, an 8mm Hex Key (Allen Key). Assembly time varies from 1 hour for the standard shelter to 8 hours for the full hybrid system which offers the ultimate in protection for hostile environments.